Cleaning the house is our duty every day to make sure the house looks clean, neat and well groomed. But often other busyness has occupied our time so that the task of cleaning the house was missed. How to clean the house quickly? The secret of cleaning the house quickly is actually very simple: prioritize cleaning important - it's important. Wash the dishes with dirty kitchen utensils, then broom the floor after it settles the bed. 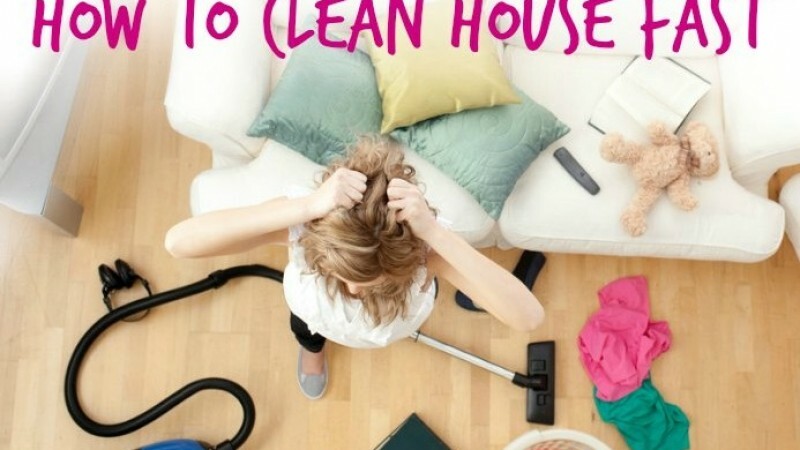 By doing 3 simple things the house will look more neat and clean. Dust in places - places that we often use, especially in the dark field easily visible to the eye. Clean the dust on the table surface, photo frames, chairs and other places that are often used and visited. Cleaning the dust does not take long, usually can be done within 5 minutes. Use a microfiber cloth cloth to clean the dust. When cleaning the room you can choose to do 5 main things in one room so as not to take a long time and not tiring and boring. For example if you clean the kitchen, wash dishes and dirty cooking utensils, clean the stove, clean the kitchen table, broom the floor and mop. The bathroom is a priority place or must be cleaned. Cleaning the bathroom can be done quickly without spending long hours. Clean the toilets using cleaning fluids and disinfectants. Brush the toilet and flush it clean. Then clean the glass - shower glass as well as the wall, after all the new clean continue with cleaning the bathroom floor. Easy is not it? When a sudden arrival of impromptu guests or unplanned guests arrives while cleaning the house, focus immediately on the visible areas only. For other areas that are not so visible do take and hide actions. For example: take all stuff that is scattered and cluttered, like a book lying carelessly, toys that have not been cleared and clothes that are outside the wardrobe. Put them together in one place like a basket, then hide them first in a place that is not visible to the guest. Cleaning the house was easy was not it? In addition to easy also not too time consuming and not spend energy. What are you waiting for? Clean your house now!